Vicki Whitson from Angels R Scrappin and I are organising a 12 hour scrap for a cause with all proceeds being donated to the Victorian Bushfire appeal through the Salvation Army. Your entry fee covers all day scrapbooking/cardmaking, tea/coffee, morning and afternoon tea and lunch. You will need to provide your own dinner but there are many take-aways etc in the area. Come for a few hours or come for the long haul. 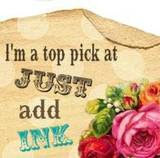 All paper crafters are welcome including beginners. There is always someone on hand to offer advice. There will be raffles, auctions and lucky door prizes and all proceeds raised from the day will be donated to the Bushfire Appeal. We will be running make'n'takes over the day and you can participate for a gold coin donation. Vicki will have her shop there and will be donating 20% of all sales from now until the end of March. My commission from any sales made on the day will also be donated. I have two classes to run on the day as well with all proceeds going to the appeal. I will be donating all the materials to run these classes. Please book in early so I can start preparing. There will be a Card Tote Bag and three matching cards and also a card buffet where you make a variety of cards. If you are interested I can email you the class flyer. Please email me to book in. I hope you can all make it on the day.